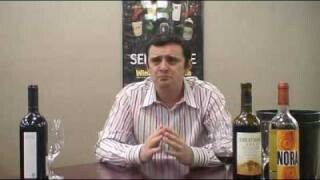 Today Gary explores the wines of Ribera one of the most exciting regions in the world! Interesting wines on the table! Will look for the last two and try them out. Tried both wines off a restaurant list. Each one was wonderful. QOTD: I wish I were at my computer in L.A. because I could find the name of the specific wine on it, but as I’m with my family in R.I. for the holidays, I’ll just tell you that it was an ’03 Merlot, Cab. & Cab. Franc Tuscan IGT (I know- the kangaroo vintage, but the fruit and alcohol were under control!) that I tasted at the BYO table at Crushpad for the Vayniac Cab. barrel tasting… f-ing rocked my palate. Thanks GV, and the thunder show (again). QOTD: I was in Barcelona at a wine bar and we tried the 2004 Alvaro Palacios Las Terrasses Priorato and it rocked! What does this have to do with the Thunder Show? I dunno, but it was good so perhaps you should try it on the Thunder Show. Seriously, you have influenced me to try some great Languedoc wines as well as Albarino, Arneis, Cahors, Chinon, Chenin Blanc and many other wines that I have come to love because of WLTV. Thanks Gary and Happy New Year! It was one of the first wines I sought out after an episode and really enjoyed. Good call on the Emilio Moro – I bought a case of the 2000 and it rocks! I bought a 2004 recently and did not drink it yet. I will have to do so soon! Never had a Ribera. Need to go out and get one fo sho. QOTD — It was really a QPR wine — the Berco Do Infante that you reviewed a while back. 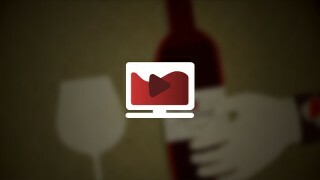 I had tried at least 5-7 other $5 – $10 wines (some that you reviewed) on a quest for a good QPR, everyday drinking wine. Finally, that one brought the thunder; and at $4.99!!! It actually had complexity, nice tannin structure, and zero fakey fake fruit. Portugal rocks in my opinion… Happy Holidays and thanks for WLTV again and again! The one wine that really rocked me in 2007 was the 1998 Finca Valpiedra Reserva from Rioja in Spain. Dark colour, great nose, very well structured, creamy and balanced. About 28 Dollars I think. I’m a late-comer to the Thunder Show, still archive-diving! This is easily my favorite episode so far. Jockstrap, sweaty socks, parrot poop. HEY, I just watched #148 and didn’t see you taste either the parrot poop or the jockstrap!! Keep rolling out the Thunder. I just had my first Ribera Del Duero while rewatching this episode. It was 2004 Cosecha Valdubon Ribera Del Duero. It wasnâ? ?t bad. A little oak. Some heat. A bit acidic. Are you familiar with a Ribera del Duero wine called El Arte de Vivir, 2004? QOTD: This is the same answer ( as far as the wine ) for another question, but it fits. The first time you mentioned Tokaji wines back in I think the first dessert wine episode I was hooked. Then I bought and tasted one and BAM! It was a Royal TOkaji 2001 5 Puttonyos. Wow. it actually smelled like meat on the nose, and that was the first time I had ever smelled that in a wine. Wonderfully rich and complex, it was well worth the 40 or so bones. QOTD: Trying dry rieslings after the under the radar tip off from WLTV. E.g. Leitz Rudesheimer Kabinett. The Thunder Show has opened up new vistas in a lot of ways. The most notable specific wine, though, was the 2007 Cult Vines Roussane you sent out back in July, 2009, with Wine Club B. Wow! That was a white variental I’d never had before that made me sit up and take notice. Serious Thunder, baby! Hey GV the 2005 Peacock Ridge Merlot rocked my socks off. Tried it after you reviewed it and just loved it. I just spent a good portion of my afternoon catching up on the last 7 shows, and I liked your tour of NYC hot spots. You should do shows from different cities when you travel; give people a taste of different places to hit up. It would kind of be like the travel channel meets WLTV. Keep it real.